What Do Elite Athletes And Business People Have in Common? Need to Practice. 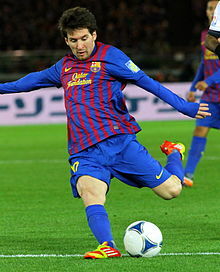 Sure elite athletes like Tiger Woods, Lionel Messi and Kobe Bryant are extraordinarily gifted. Each of them, however, are also renowned for their fanatical work ethic. They are dedicated to practicing their sport to perfection. prepares them for potential success. Yeah, Kobe Bryant may make a fade away jumper look effortless but that was only possible after hours and hours of sweating in many different gyms. There are countless stories of the next great “Ken Griffey Jr.” who flame out never living up to their natural potential. In most cases (barring injuries) these athletes never had the same drive to practice like the true elite athletes. Practice can make perfect. True successful business people are just the same. Many have natural gifts, but almost all of them are tireless workers who practice their trade. Yet, businesses often do not recognize this. They do not allow for proper “practice” of their people and create a culture of continuous improvement (learning), particularly with their sales and marketing teams. Hard and adequate practice makes better business teams in a highly competitive marketplace. Product groups need to practice listening repeatedly to adequately meet customer demands. The organization needs to improve its process for attaining customer and market feedback in agile but structured manner, which takes practice and trying different approaches regardless of failure. A company needs “practice” selling its solutions over and over again from a product marketing, sales as well as customer support perspective. How much time does your sales team really “practice” selling versus just performing in front of customers against competitors? In my opinion, most organizations do not value sales training enough. Elite athletes all put tremendous effort to their trade. They have succeeded with both hard work and natural talent. Businesses need both from its people as well to become elite in their own right. Invest in training and create an environment of continuous improvement through hard work. And play to win! Posted in Management and tagged Kobe Bryant, Lionel Messi, sales training, Tiger Woods, Training. Bookmark the permalink.